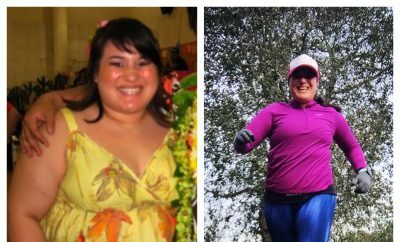 Stella Apostolidis, 31, and her older sisters Kelly and Sofia had tried every fad diet over the years. 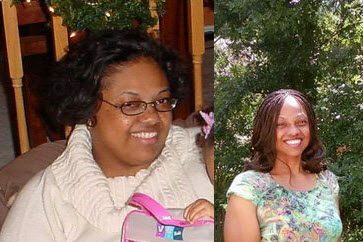 FITNESS gave them a plan they could finally slim — and stick — with. Growing up in Queens, New York, my sisters and I loved Mom’s Greek cooking. I was the pudgiest (I’m the shortest), but we’ve all been on lots of diets in our lives. I tried the “three days on, four days off” diet and even took diet pills (they’re now banned!). I’d drop 10 or 15 pounds, only to gain them back. Within four months of my wedding last June, I put on 16 pounds. Meanwhile Kelly, 38, had flunked Weight Watchers and still had last year’s baby weight, and working mom Sofia, 41, vowed to trim down — tomorrow. We swore to do it together. First step: We all signed up for the FITNESS Personal Trainer to get a diet and exercise plan that we would follow and track online. We agreed to meet at the gym Monday nights for group workouts, and we were on our way! Armed with rep-by-rep instructions from the FITNESS Personal Trainer, we enlisted a real-life trainer, Sam, to put us through the program’s Monday gym-machine session so we wouldn’t slack. Then Sam tapped into my online account to see that I’d done my weekly toning and cardio routines. The instructions got me in and out of the gym fast. 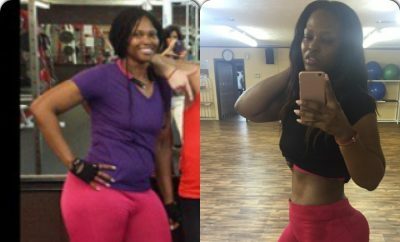 I found myself faithfully sticking to the FITNESS Personal Trainer’s 1,300-calorie-a-day diet because it held me accountable for logging every morsel I ate into my online food diary and added up my calories. That, and the fact that I knew that my sisters would be checking in on me every day to compare totals. I didn’t want to let them down. After a three-day weekend filled with pasta that seemed to create an instant muffin top, I learned from FITNESS nutrition advisor Dawn how not to slip up again: Eat veggies or salad first, protein next, and carbs last, when I’m almost stuffed. Another trick: Fashion director Argy Koutsothanasis switched me to mid-rise jeans that erased my middle. Ten weeks later I’m back to my wedding-day size 4, Kelly is in a pre-baby suit she thought she’d never wear again, and Sofia is the slimmest she’s been in years. And we’re not stopping there! Next Story → Couple goes to Mexico for Weight Loss Surgery and Drops 215 LBS!! !